Donald A. Rhodes, D.P.M., F.A.C.F.A.S. 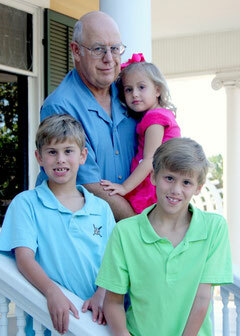 Dr. Rhodes was educated as a podiatrist in Ohio, and opened his practice in Corpus Christi, Texas, in 1973. For many years, he performed complex foot surgery in addition to typical podiatric care. While treating a post-surgical patient who’d developed RSDS (Reflex Sympathetic Dystrophy Syndrome), he discovered that there were little or no treatments available to treat this painful and debilitating condition. Long fascinated by electro-medicine and its healing effects on the body, Dr. Rhodes began researching electro-stim for his patient. Eventually, he was able to help his patient achieve remission and word began to spread quickly among other RSDS sufferers who had tried other treatments for their diseases and conditions with little or no results. As a result of this “word of mouth” referral, many people with diseases and conditions unrelated to RSDS have requested treatments at the clinic. Dr. Rhodes now spends his time caring for patients with debilitating diseases or conditions, improving the technology of the VECTTOR system, and working with other medical professionals to research and develop this promising method of treating the human body. After more than 40 years of practicing in Corpus Christi, TX, Dr. Rhodes recently moved his clinic to the Houston area to allow him to focus on clinical trials for the VECTTOR Therapy System.